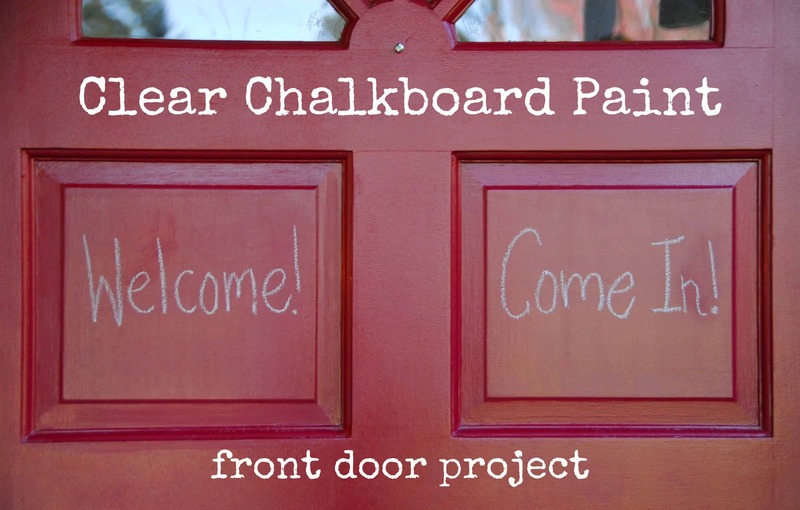 Today you get a tutorial for creating your own custom shape chalkboard DIY project. 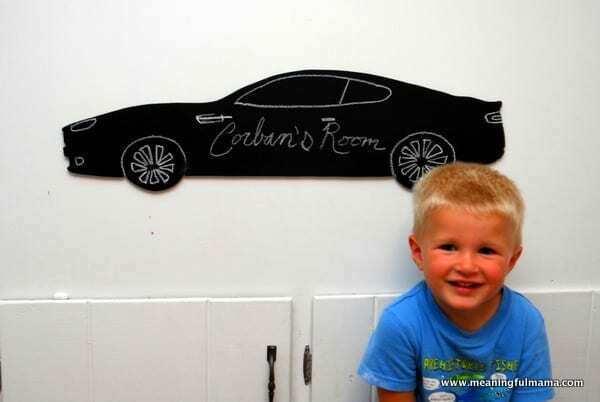 This chalkboard idea is a Land of Nod Copycat idea. 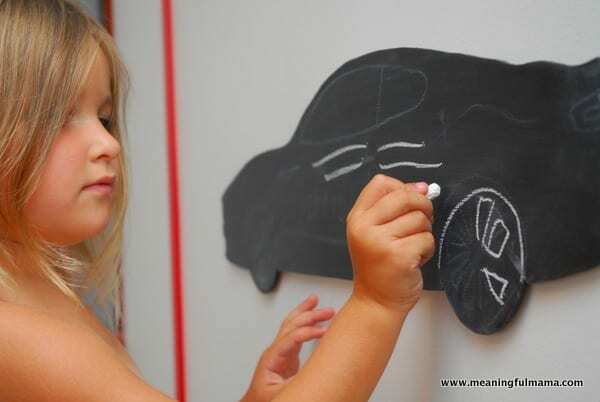 I saw a number of chalkboards in different shapes on the Land of Nod website. 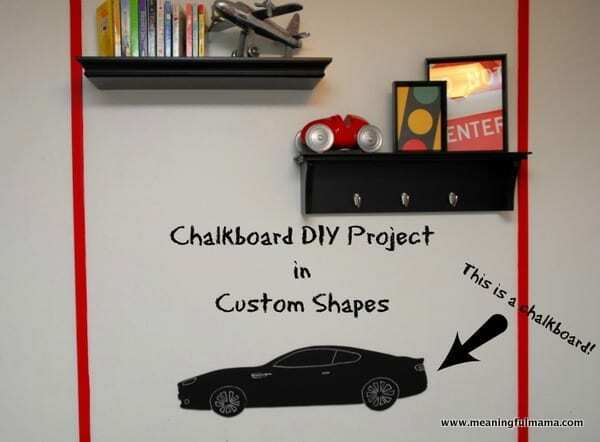 I love their ideas and was looking for some inspiration for our son’s garage room. If you haven’t seen his garage room makeover yet, you’ll definitely need to swing by the reveal post to check it out. There was a blank spot that I was trying to figure out how to fill. 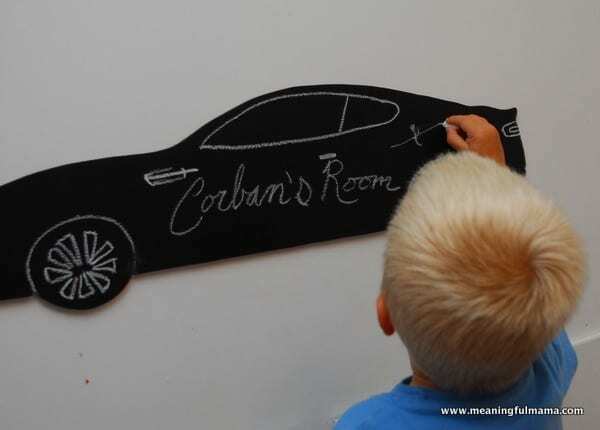 When I saw the chalkboards from Land of Nod, I liked the idea. However, they didn’t have the shape I would want and I figured I could just do it myself. OK – When I say, “do it myself,” I really mean get my husband to do it for me. The first thing “we” did was borrow my husband’s projector from work. He projected the image onto a piece of particle board we had on hand. It was actually the back of an Ikea frame. We had used the frame when we built the tool board in his room. We chose an image we liked from a Google image search. Just type in “silhouette” and then the image you might want. After looking at a number of race car silhouettes, we chose and Aston Martin. 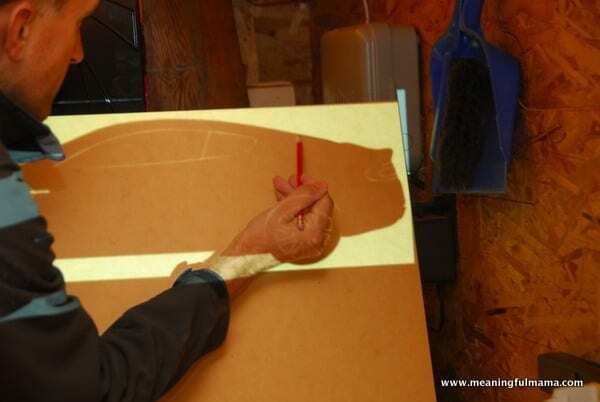 Now it’s time to trace the outline of the image onto the particle board. 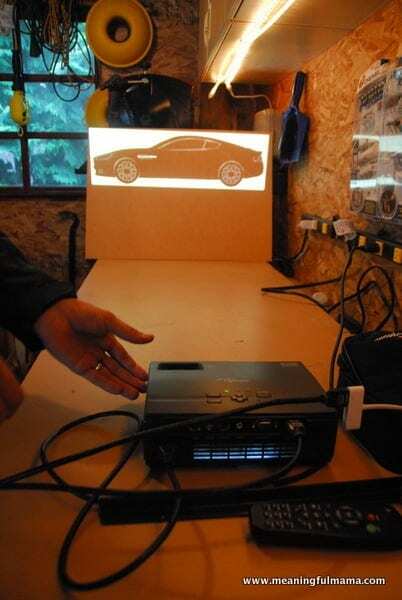 If you don’t have a projector, it doesn’t mean you can’t do this project. You can draw a simple image by hand. You could also get the image printed out at a local print store. Just enlarge it to the size you want. 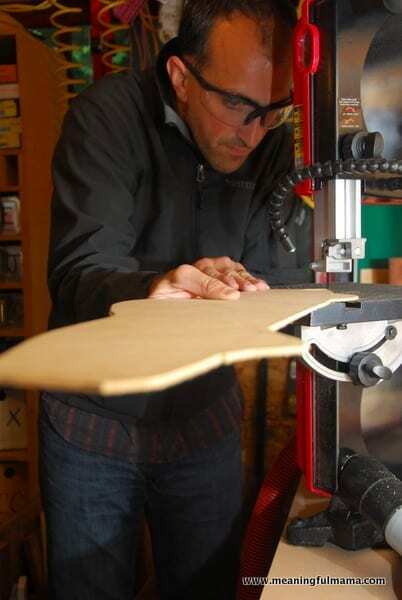 Then, you can cut out the image and trace it onto the particle board. My husband used his jigsaw to cut around the traced image. He then sanded the edges. 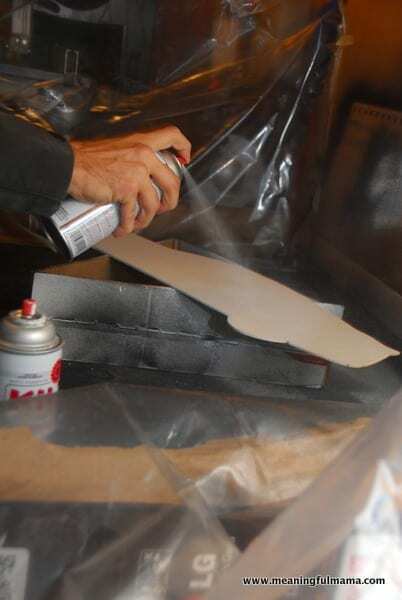 The first coat of paint was a spray primer. The second coat of paint was a spray chalkboard paint. He did two coats of the chalkboard paint. We didn’t want hanging the chalkboard to damage the wall, so we used velcro Command strips. This is not a sponsored post. I just love Command strips. Viola, the car was put in place. My husband was the first one to write on the chalkboard. 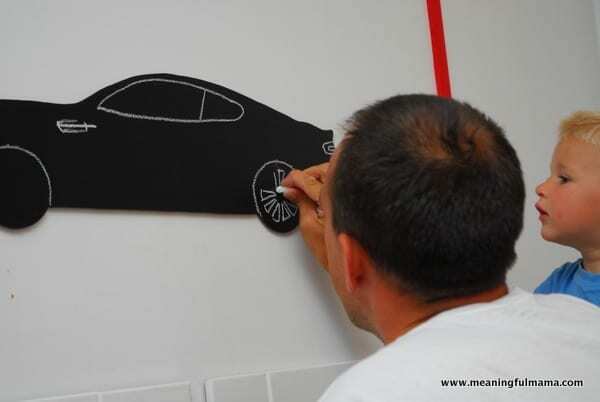 He wanted to draw on the windows, lights and tires of the Aston Martin. Then, the kids got a turn. The kids had fun taking turns coloring on the chalkboard. It does wipe away better than it appears in this last picture. You can now add your own custom chalkboard with any theme. Totally Awesome! I loved how you used the projector. That is a great way to do a mural too. 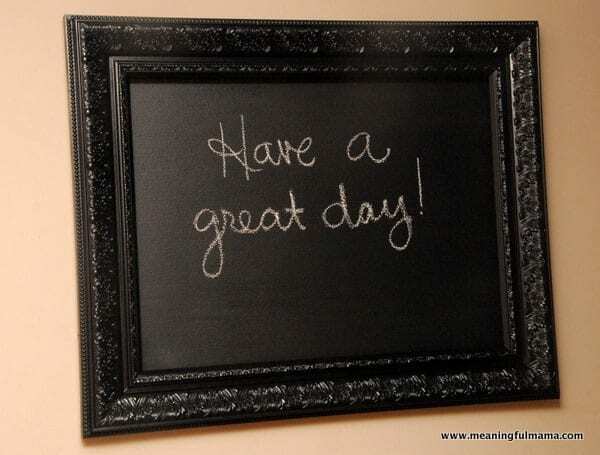 Thanks for sharing your Chalkboard project. This is such a fun idea and how have I never heard of clear chalkboard paint?? Must buy! Pinned this one Jodi! Thank you so much, Trish. When I heard of clear chalkboard paint, I was super excited. I love having it on my front door. I need to think up some other projects too. I really appreciate the pin. Oh my goodness! How cute and creative is this Jodi!! Love it. Pinned. Thank you so much for pinning and tweeting, Meegan!